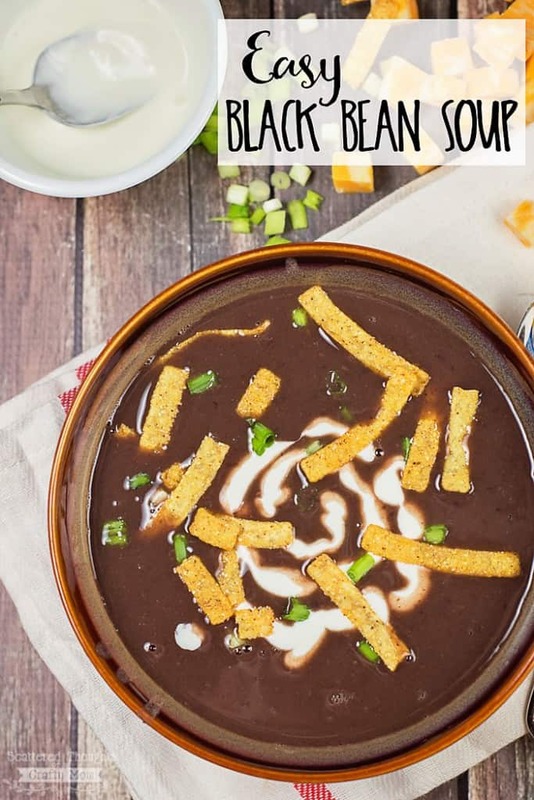 This Black Bean Soup recipe is amazingly quick to make and so delicious! 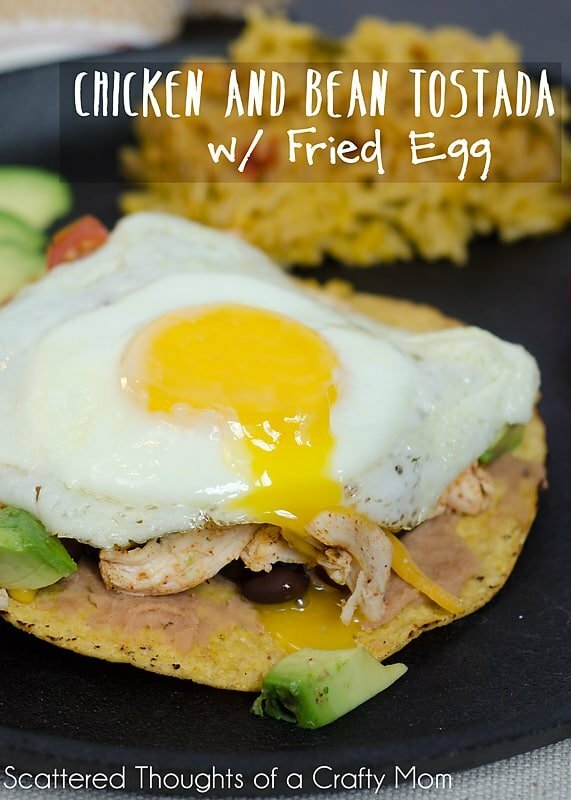 Perfect as a light dinner on it’s own, or to complement any Mexican themed meal. After my daughter gave this soup a taste, her little eyes lit up; she gave it an immediate thumbs up and promptly exclaimed, “It tastes like a burrito!” Hmmm… A burrito? Whatever, I’ll take it. 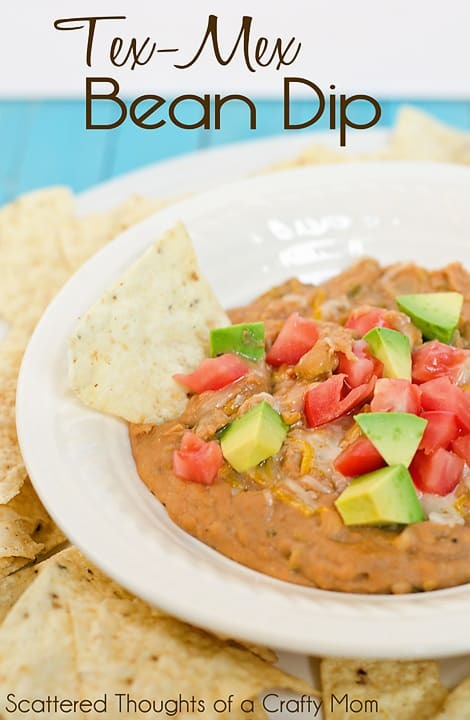 It is actually the basic ingredients of the bean and cheese burritos I serve quite frequently. 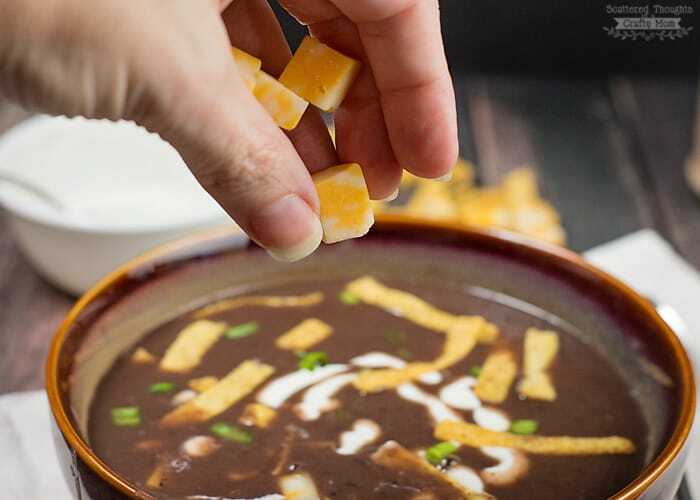 You could use shredded cheese in the recipe, but there is just something delicious about the little chunks of gooey, melty cheese in the soup. In large soup pan, heat oil over medium heat. Saute onions, garlic about 5 minutes until translucent. 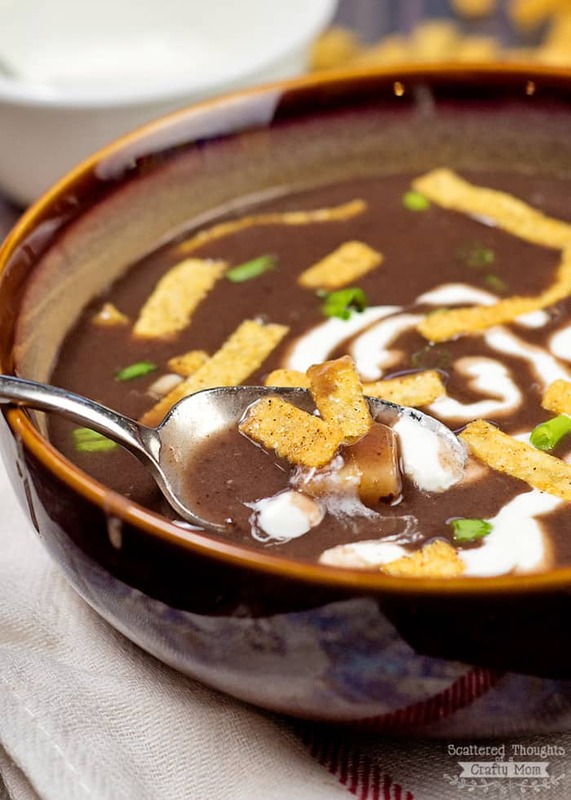 Add the black beans, chicken broth and spices and bring to a boil. 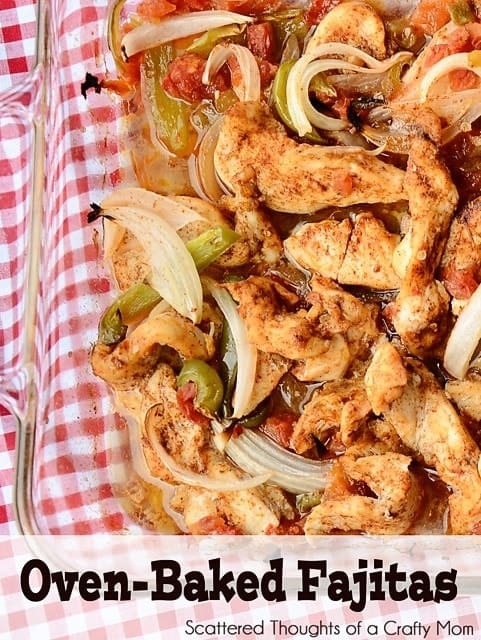 Reduce the heat, cover and simmer for about 15 minutes. 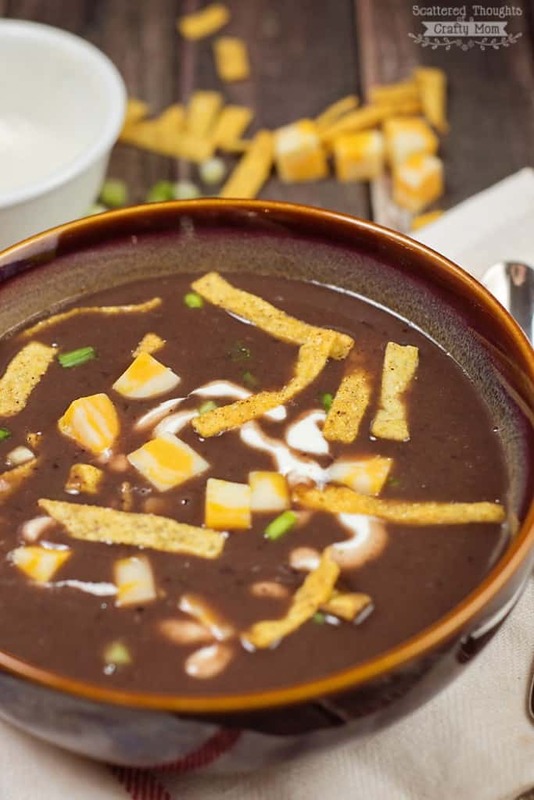 Add soup to bowls and add cheese cubes and a spoonful of sour cream. 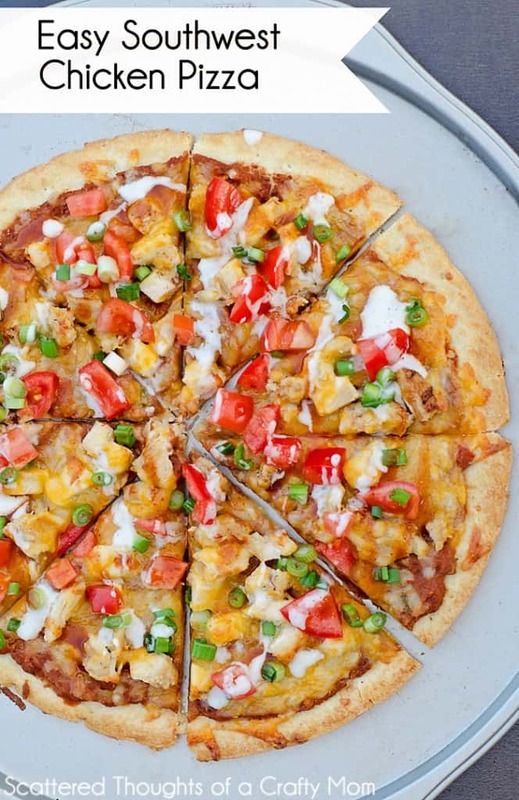 Top with optional toppings. 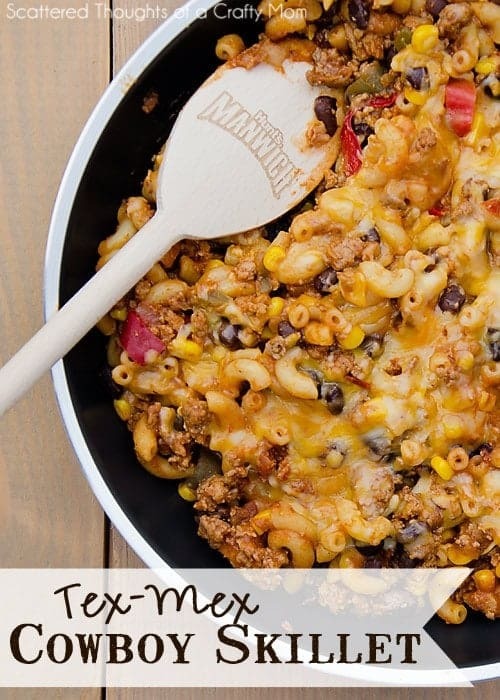 This recipe sounds yummy. I love all beans. And thanks for a chance to win.